Proud mommas here! 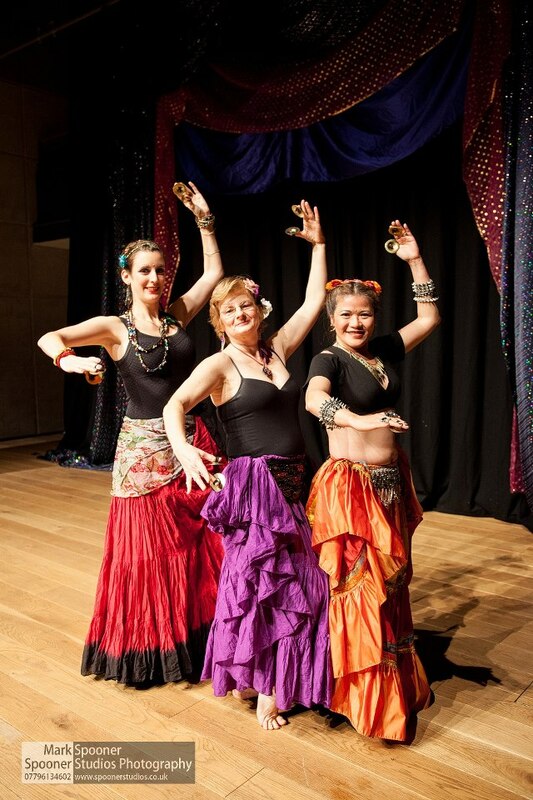 We’re still buzzing from the Oxford Middle Eastern Dance Society (OMEDS) party of this past Friday where In-Spires (Kay’s tribal brood at OMEDS) acquitted themselves brilliantly on the night. The girls who all looked the part had been nervous ahead of the number but it all went utterly swimmingly and we all had a thoroughly enjoyable time. 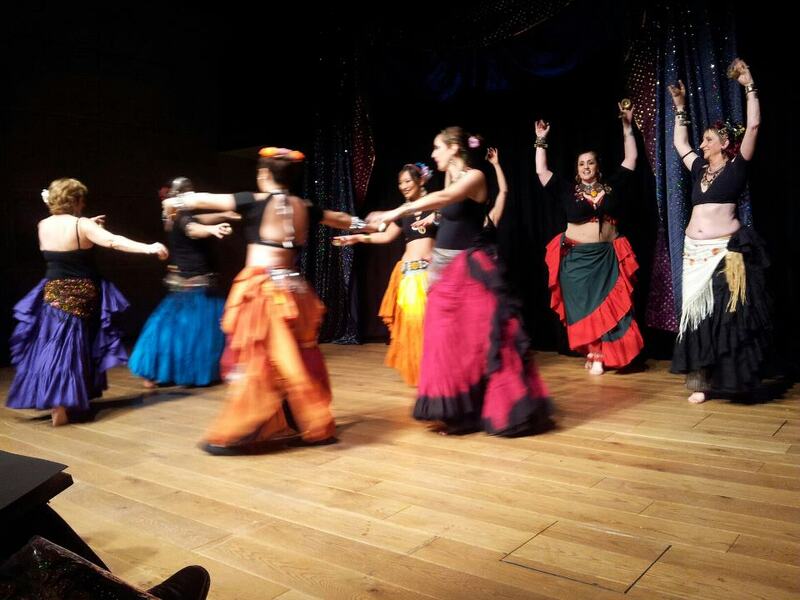 Guest of Honour was the sassy Emma Chapman who ended up dancing on the chairs and bringing the roof down – go Emma!! The rest of us mere mortals, local students and groups, contended ourselves with solid performances. 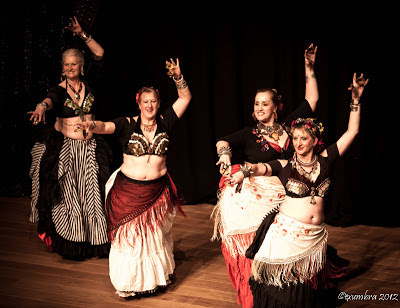 Along with bellydance solos and group numbers, there was also a strong and eclectic tribal presence represented by the lovely ladies from Sundara and Belly Raqs from Thame who dance Gypsy Caravan-style and yours truly, Ashnah, who danced with 'our Janet’!